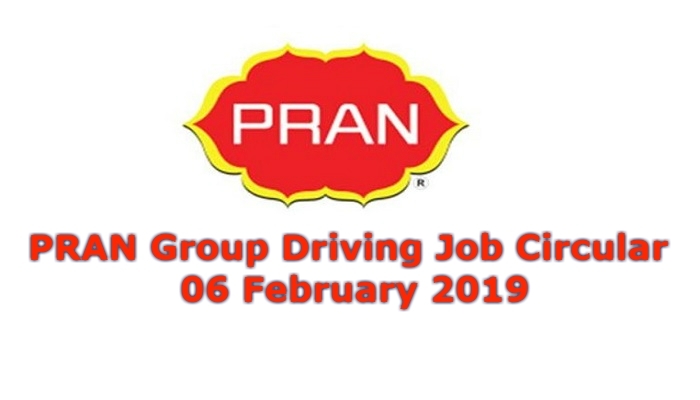 PRAN Driving Job Circular: PRAN Group Job Circular 2019 has been published recently by the authority. PRAN Group has published a new job notice on their official website. about 200 Driver will be recruited. You can get the PRAN Group circular 2019 in this website. PRAN Group is the largest business enterprise in Bangladesh. The group is now requiring a huge number of drivers. Those are in driving position and also want the PRAN group’s driver job have requested them to apply for the job. If you are educated and finding the job of your quality, then visit our website. You will get a circular of bd jobs, Government jobs, Bank jobs, Company jobs, NGO jobs, Private jobs, etc. on our website. The PRAN Group has issued a notice of recruitment of drivers for factories and depots in different places in Bangladesh. You will get all the details about the job and places in the recruitment. 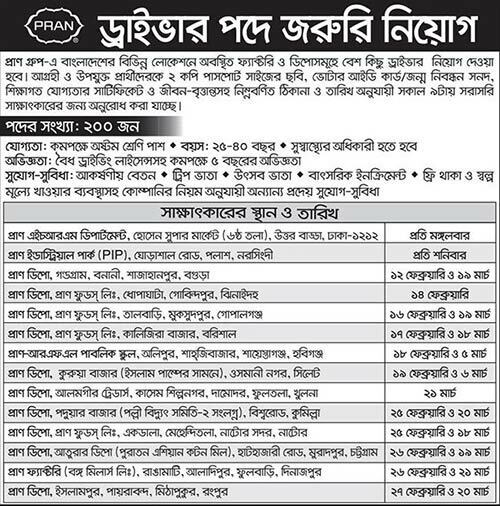 PRAN Group’s Driver Job Circular 2019 is given below. Interested candidates will be present in two copies passport size photographs, voter ID card/birth registration certificate, educational qualification certificate and circulars along with noticeable place and time. PRAN Group is a well-known enterprise and they are offering the job. 200 drivers will be recruited in the Group. Those are interested in the job they have to submit the application. For an application, the candidates have to submit a CV with two copy passport size photograph, NID card/ birth registration certificate, educational certificates. The candidate has to pass eight grades; age should be 25-40 and minimum 5 years driving experience for getting this job.